My printer recently pooped out on me so I put a shout out on my local Freecycle chapter to see if anyone had a printer they didn't need any more. I was able to score a brand new HP Photosmart that was only used till the first round of ink ran out and the owners decided to switch to a laser jet. Now that I have a practically brand new printer (and a good one at that), I can finally print out some of the digital papers that GinaK carries. Nina Brackett created the new Swing into Spring papers that coordinate with the new colors from the Spring Collection. I printed the polka dot papers onto both sides of my cardstock to create double-sided cardstock. I cut different sized flowers out of the printed cardstock with my die cutting machine, then cut parts of the petals out so that I could create cone shapes out of them, securing them with a little bit of hot glue. I'll try to get a video tutorial up soon so that I can show you all how to make these. They're SO easy. I glued a small yellow pom-pom in the center of each flower and then hot glued a lollipop stick to the base of each. I tied a green organdy ribbon (from the Spring Collection) in a bow under the base of each flower so that it covers the glue and also gives the look of "leaves." I used a small paintbrush to roll the petals on each of the layers of paper flowers so that it gave them a more realistic flower look. It's a little time consuming and the inside layers are hard to roll, but it makes such a difference in the way they look. The bottle is a re-purposed item. It originally held the Elderberry syrup that we use to maintain our immune systems. I put them through the dishwasher and then use them for various projects. I cut a bunch of small strips of Creme de Menthe cardstock and ran them through my crimper to create my own crinkle paper to fill up my bottle with. The label was created using the new set by Nina Brackett, Lovely Labels. I was shocked at how big these labels are! They're amazing and this set has SO much to choose from. 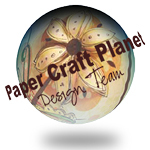 You can use them for packaging, journaling boxes for scrapbooking or even focal images for your cards. I stamped the polka dot label with turquoise ink and then stamped the word, "love" inside with pink ink. The word, "you," is from the Happy Hearts set and was stamped with green ink. I also added a line of dots (from the Lovely Labels set) in lavender ink. I trimmed the label and then mounted it on top of a piece of Lovely Lavendar cardstock and trimmed around it to give it a lavender border. I wrapped a piece of Lemon Drop ribbon (from the Spring Collection) around the bottle and adhered the label over the top. 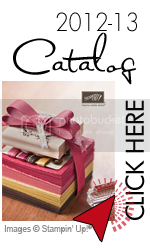 This makes for a great favor, a sweet present for a mantle, shelf or desk. It's perfect for spring! We'd love to have each of you make plans to join us tomorrow night for the big Release party over in Gina's Forum on SCS! The virtual party starts at 7pm CST and is filled with contest questions from Gina, challenges from three of our designers, and tons more samples from the entire GKD team! For some helpful tips on how Gina's Release parties work on SCS, check out this discussion on StampTV.